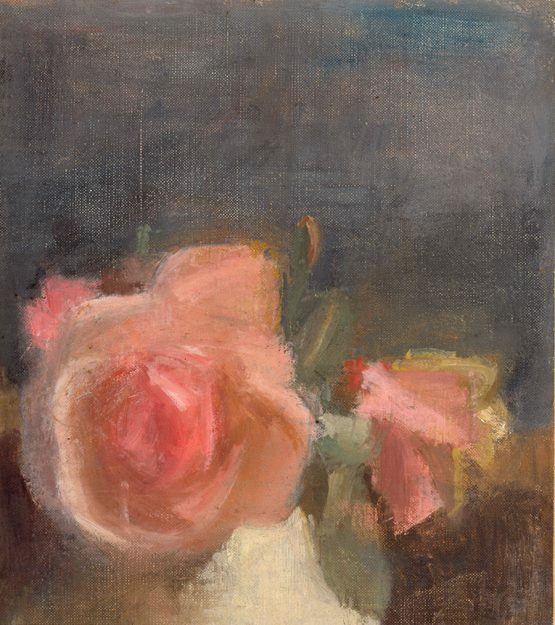 Victor Pasmore (1908 – 1998), Pink Roses, 1944, oil on canvas laid down on card, 26.5 x 23 cm, acquired 1965–1969. 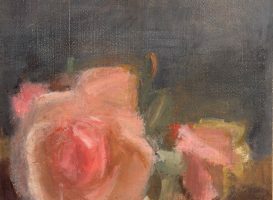 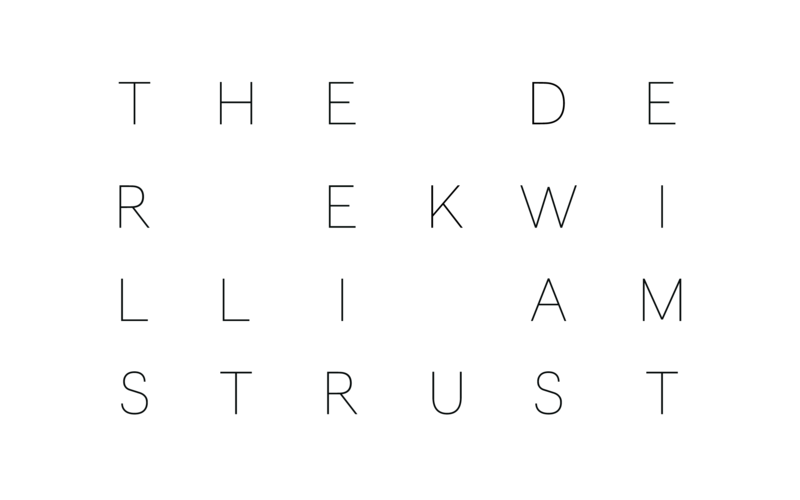 © The Pasmore Foundation & Marlborough Fine Art. 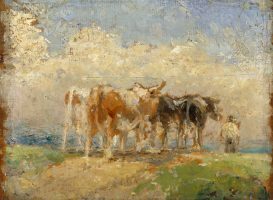 Victor Pasmore (1908 – 1998), Landscape with Cattle, 1925, oil on panel, 32 x 40.3 cm., acquired 1984. 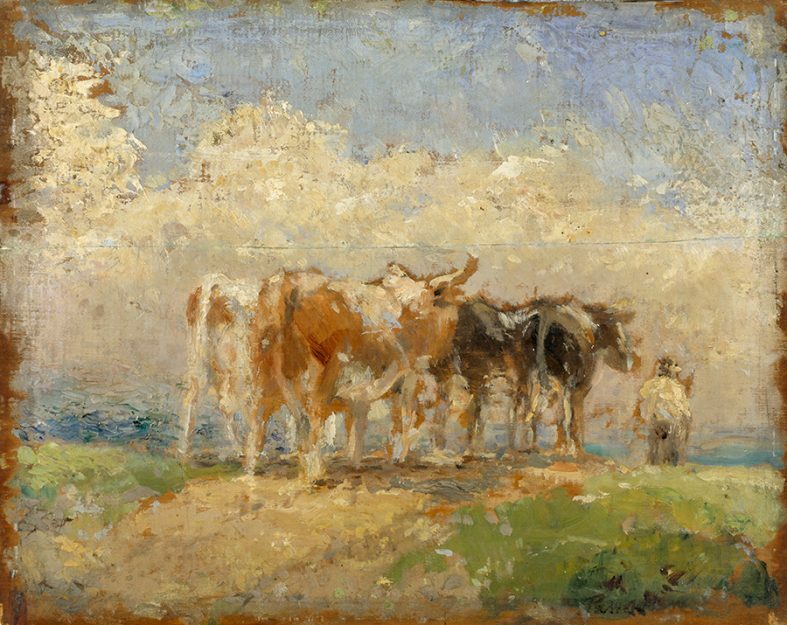 © The Pasmore Foundation & Marlborough Fine Art.